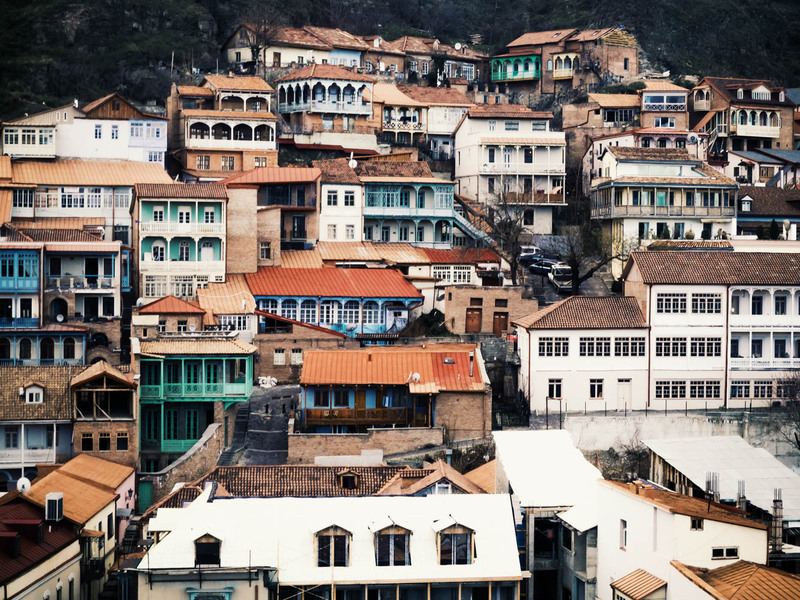 Tbilisi, the capital of Georgia, for me, is one of the most fascinating cities in the world. I am so charmed by the city that I made my fifth visit last December. With more and more tourists in Tbilisi has also the amount of pickpockets drastically increased in Tbilisi over the last few years. So be aware! If you’re also planning to visit Yerevan and Armenia, check out this post about 40 things to do in Yerevan. The newer parts of the capital recently got a huge facelift with modern architecture. It doesn’t yet offer world-class shopping opportunities that you will find in other capitals around the world. But Tbilisi offers something that you will not find in modern capitals charm! If looking for where to stay during your visit to Tbilisi, check out This place. 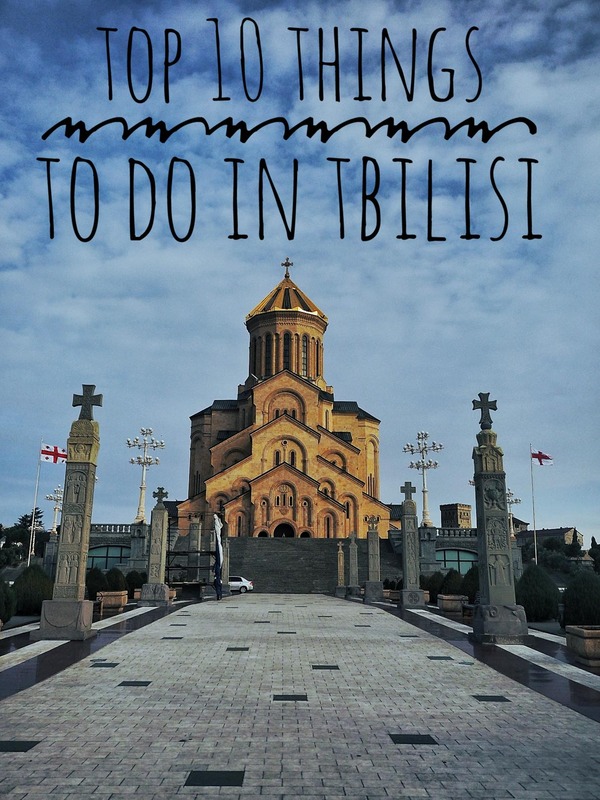 Here´s my list of the Top 10 things to do in Tbilisi. Are You planning a trip to Georgia, but wondering about how much money to bring? Check this great post. 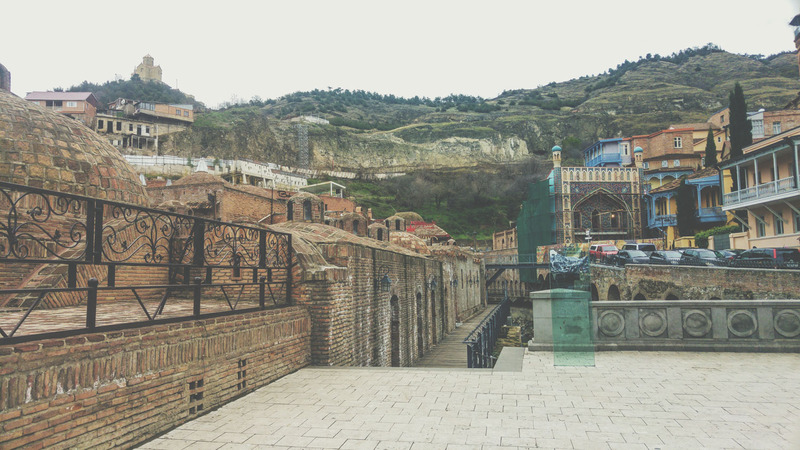 Old Town Tbilisi has over the recent years gotten a huge “facelift.” These days, there´s local art shops, wine houses, small family run guesthouses. You can spend hours getting lost in the old alleys and backstreet, just to find a small local bar or Kinkhali house. 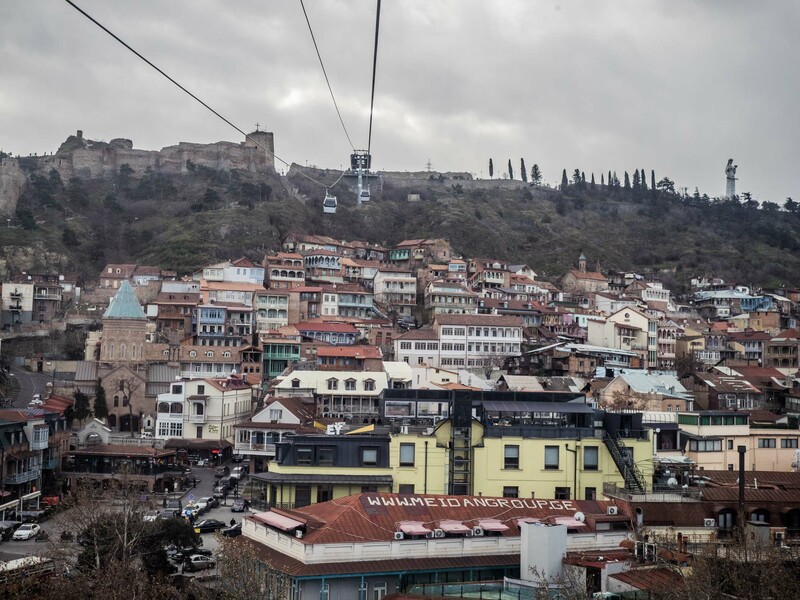 A tiny part of Old Town Tbilisi as seen from the cable car. The Sulfur baths are on the left side and old town on the right side. A complete restored part of the old town. Vent´s to the sulfur bath for ventilation. Most of the baths are open 24/7, and the price varies from 30 Lari for the cheapest private room to 100 Lari for a private room. The room quality varies as much as the price difference. There are also public rooms available for 3 Lari. 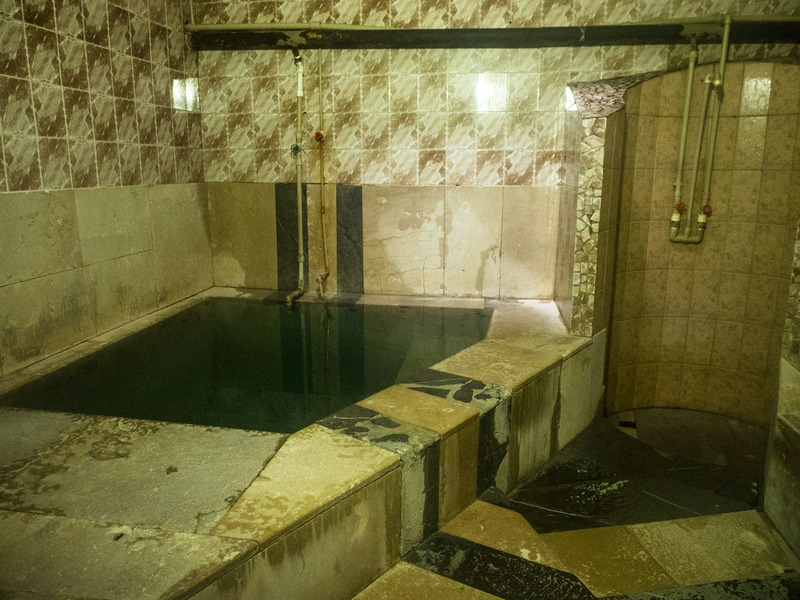 Click here to read a complete guide about Sulphur Baths. While the expensive rooms are completely refurbished with both hot bath and cold bath and even a private sauna. The cheaper rooms are more basic with an old Soviet look with just a hot bath and hot/cold shower. 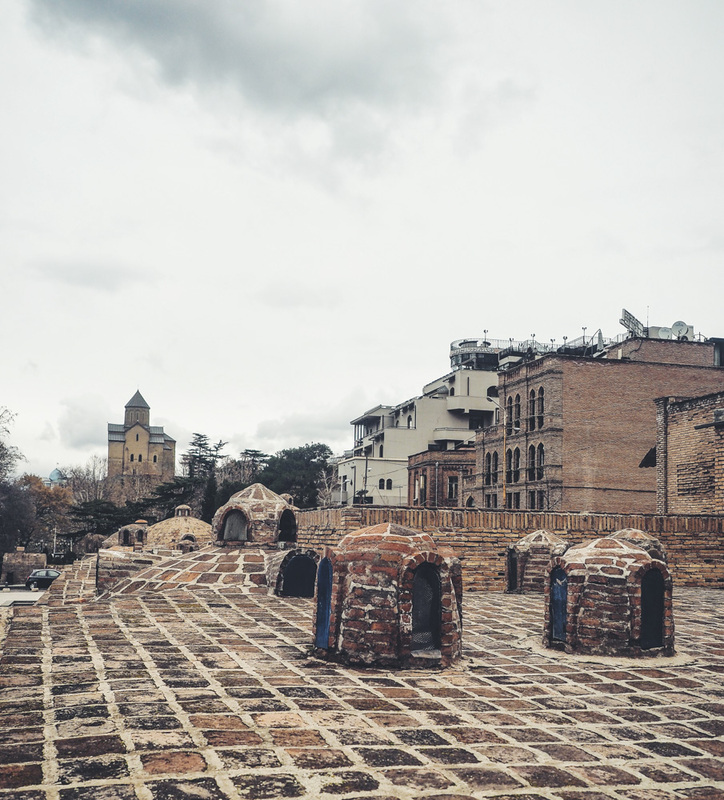 The Sulfur bath has been a part of Tbilisi’s history from the city´s beginning. The name Tbilisi comes from the Georgian word for warm ‘თბილი, that means “warm location”. One of the cheaper Sulfur baths. 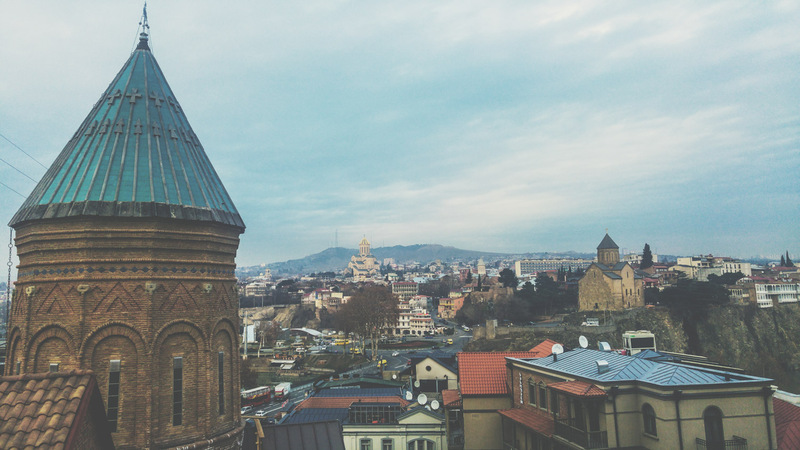 There´s no shortage of churches in Tbilisi or Georgia; you will never be far from one. 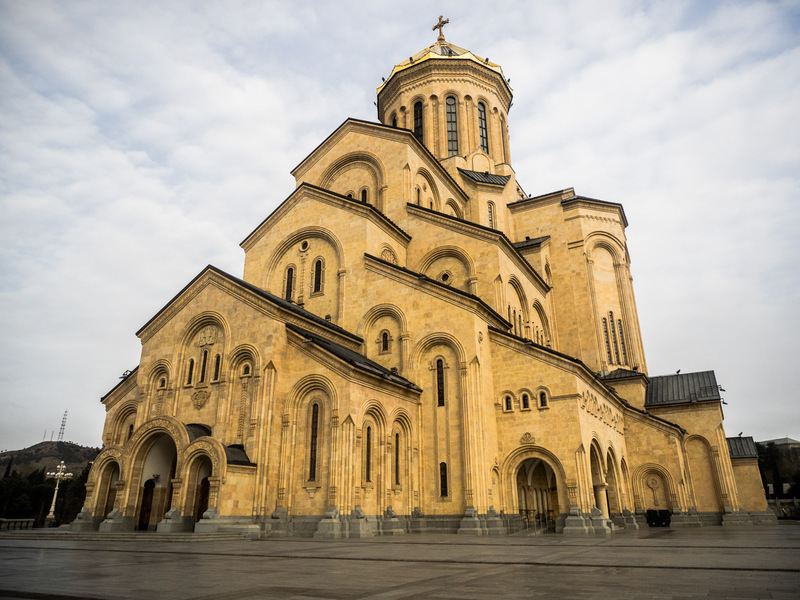 The one you will see the most is the huge Holy Trinity Cathedral of Tbilisi or locally known as “Sameba”. The construction of Cathedral was only completed back in 2004, so it doesn’t offer the same amount of history as most of the other churches in Tbilisi. But the Holy Trinity Cathedral is impressive in other ways. 4. Visit the Mtatsminda Park for the stunning view over the city. 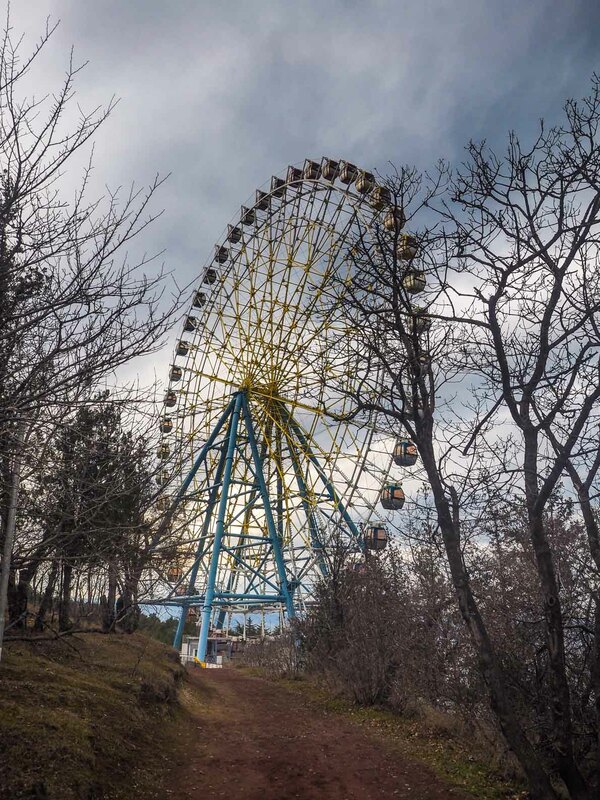 Mtatsminda Park is the highest point surrounding Tbilisi; the park has a small amusement park, a Paris wheel (that´s the highest point in Tbilisi), a lot of restaurants and small bars. It´s a popular hangout for the couples in the evening to enjoy the amazing view of the city landscape. The park can be reached by bus 124 or by the Funicular railway. Tbilisi as seen from Mtatsminda Park. The Paris Wheel and Tv Tower. 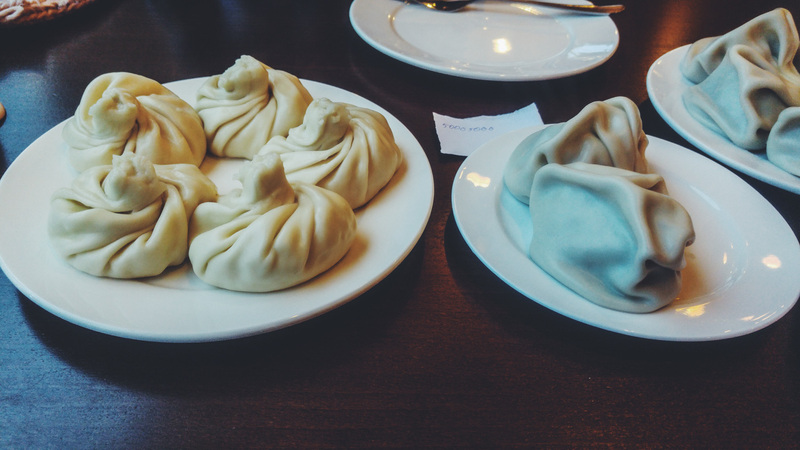 While most of the food in Georgia like in all other old Soviet countries are heavily meat-based, but they also have some delicious vegetarian surprises. The best and most common dish which is also considered as the national dish is called Khachapuri, a “fluffy” bread with the centre of it filled with cheese in the middle and with an egg on top of the cheese again. The crust is a proper bread that you use to dip in the cheese. 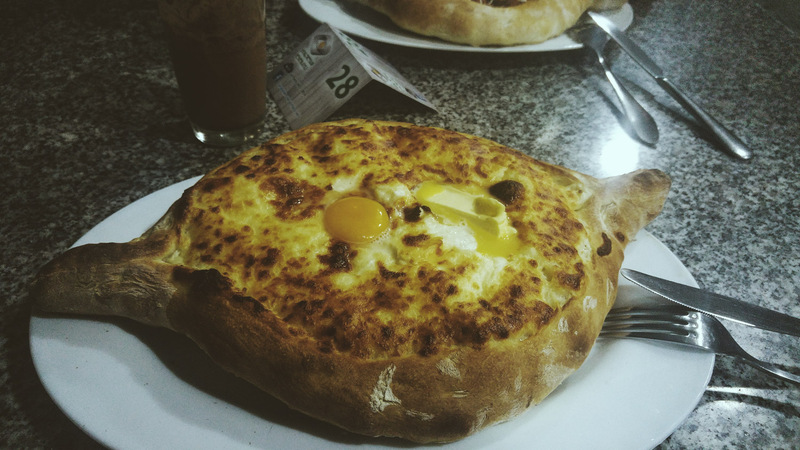 Different regions of the country have different versions of Khachapuri. Central Georgia’s Khachapuri looks more like a calzone than a traditional one whereas western Georgia likes to add more cheese to the Khachapuri than the rest of the country. Southern Georgia likes to serve its Khachapuri with a raw egg on top and a dash of butter. 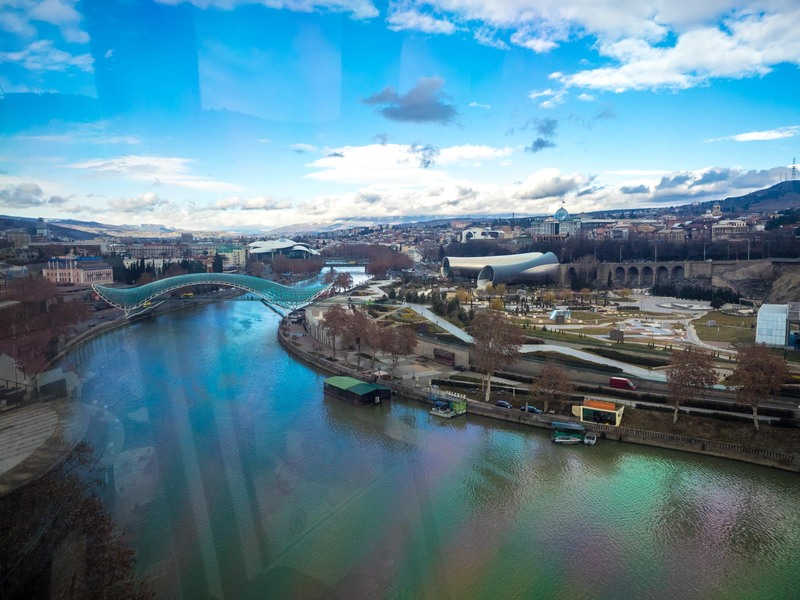 You will enjoy a nice view of the city, similar to the top of Mtatsminda Park. You also visit the castle overlooking the city while walking back down. Tbilisi Panoramic view from the Mother, Georgia Statue. Taking the cable car across the river, There´s some strange modern architecture on the right side of the river. I Would Also recommend you to visit Yerevan, the capital of neighbouring Armenia of you got time. You can take the N37 bus just outside the terminal which operates 24/7 leaving at 35-minute intervals and costs 0.50 Gel. Looking for a hostel in Tbilisi or Georgia in General? Check out this page. 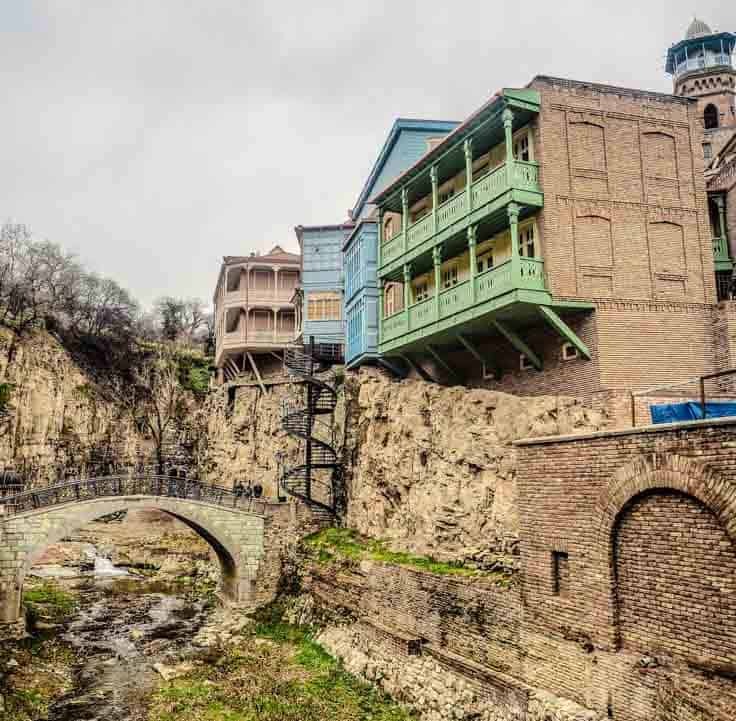 Tbilisi, the capital of Georgia, for me, is one of the most fascinating cities in the world. Thanks for sharing your tips with me, Christian! What day trips would you recommend? 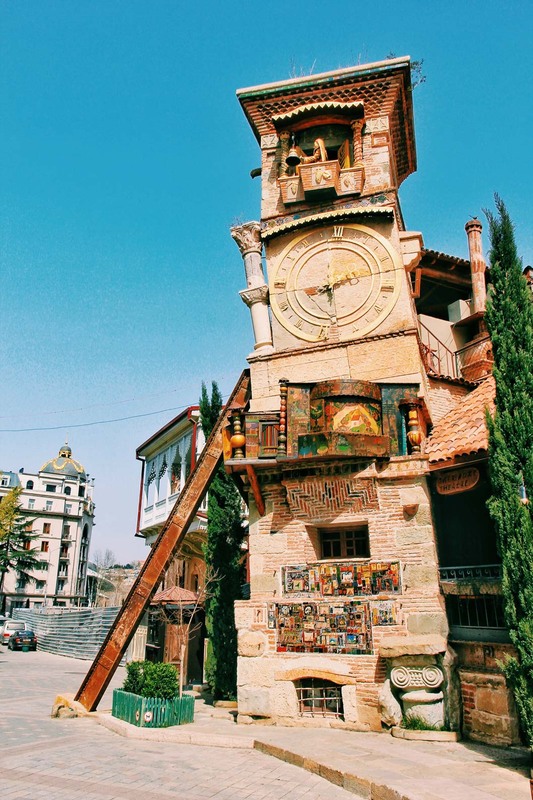 You can easily do most of Central, Northern/Southern and eastern part of Georgia on a day trip from Tbilisi, but depends if you want to use public transportation and go on your own or take a tour. The fastest and easiest days trip from Tbilisi to do independently is Gori, Vardzia, Kazbegi. 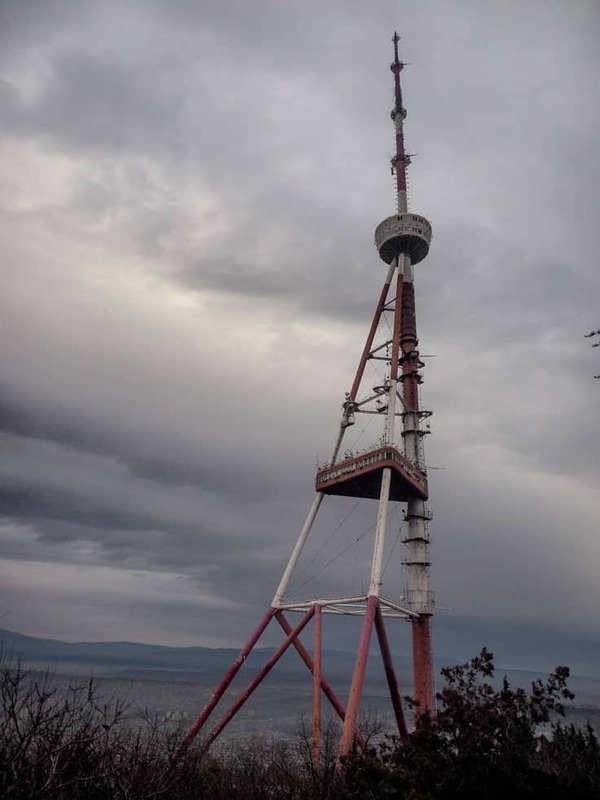 If taking a tour can you do Sighnaghi to. This is a great list! 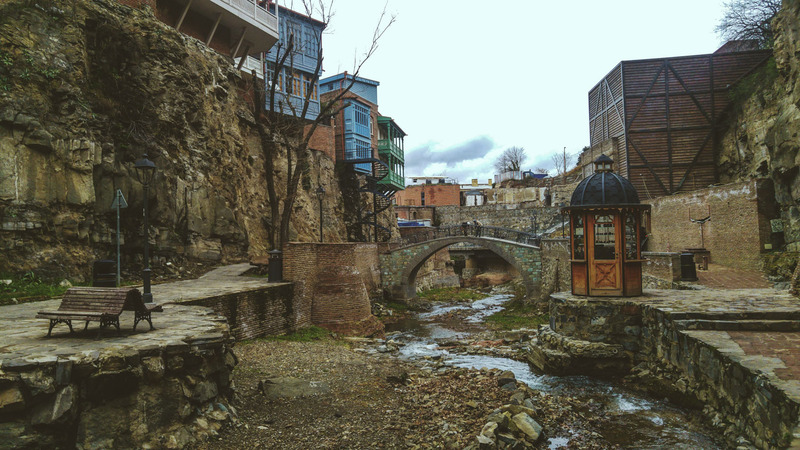 If you’re ever in Tbilisi again be sure to stop by our photography gallery, Fotografia. We’d love tell you a bit about Georgian photography and creative scene in Tbilisi. Hope you can make it! I actually came back home from Tbilisi today.I just spent 4 great days in one of my favorite cities again. I’m heading back there in October again and I will definitely visit the gallery then. Thank you for all these ideas. I love them all. Let me ask you though. We are in Tbilisi for the first time. Where would you recommend to start seeing the old town? We are staying literally a minute of walking from the Liberty Square. Thank you very much! I had a great day in the old town of Tbilisi! Outstanding Christian, I browsed the usual sites and came across your informative page on Tbilisi and the surrounding areas/regions. They say a picture speaks a 1,000 words , your photographs are 1st class and actually made me change my mind on what to see in Tbilisi when we arrive next week. I have lived in Russia for coming up to 25 years and genuinely admire people who have passion, dedication and time to keep their fellow man/woman informed of diverse earth we live on. Thank you, enjoy and keep up the great work. Respect. Lee. Thank you, this was really helpful 🙂 Sounds like an awesome place, can’t wait to visit! Hi. I am planning to go there around last week of this coming November. Is it too cold already that month? And i am planning to spend 4 days, just wondering if public transpo is available goung to kazbegi and kakheti? I would love to see these places too aside from tbilisi. Hi christian i will travel to georgia tbilsi this coming october 10-13 i want to celebrate my burthday there. Can you help me which place i can stay near the city and which is the best place to go. I wanna ask what type of clithe i need to bring for october weather?? I wanna enjoy the georgia because im a single traveler only.. hope to hear from you christian. Sorry for the late reply. Depends on your budget but if staying in hostels so are Envoy Hostel in the old town and Pushkin 10 on the main street good options. But if you prefer to stay in hotel instead so are Hotel at Gomi 19 and No12 Boutique Hotel good. I’ve have stayed in all 4 options I mentioned. Wheater for October should still be warm and nice during the day but a jacket or sweater is should be hood for the evening. Hi christian, planning to go this december 23….hoping to show my kids some snow..any recommendations?? Could you tell me how to book the hotel.you stayed or i heard of a skiing place is it far from the town?? Helpful information. Thanks for that. 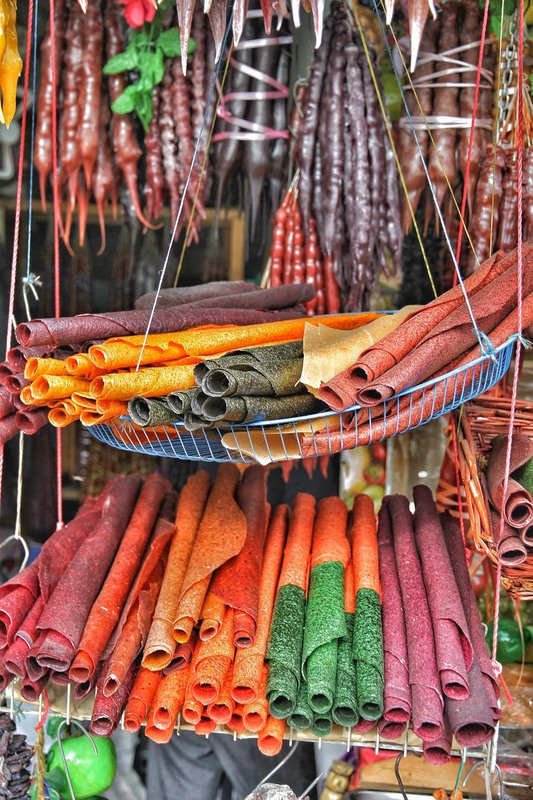 We are on a 4 day trip to Tblisi in the coming week. Can you suggest us some of the must visit places or a link through which we can plan the itinerary? I’m staying for a month from next February 2019. It it easy to communicate? I only speak English. If I catch trains to other cities, do the staff speak any English? Is there a Thai restaurant in Tbilisi or other towns ? my gf is Thai! I don´t speak any Georgian or much Russian myself, and I have never had any problems when it comes to communication with locals in Georgia. About every local, or at least the young ones speak English. Every time I’ve been at the train station in Georgia have at least one of the staff member been able to speak fluent English. There´s actually a lot of Thai restaurants in Tbilisi, only in old town Tbilisi is there 4/5 restaurants. I’ve been to both Tuk Tuk and Fire Wok myself, and they are both good, at least for what you can expect in Georgia:) But the probably the best Asian restaurant in Tbilisi is “Pepperboy”, they serve not only Thai Food, but also Korean, Japanese. Please suggest if it is a good idea to visit Georgia during the New Years. Depends what you would like to do, Georgia will be pretty cold and there´s a there will most likely be snow, if there is a lot of snow can you go skiing in the northern part of the country, if you want to party or relax with good food so are Tbilisi a good option. 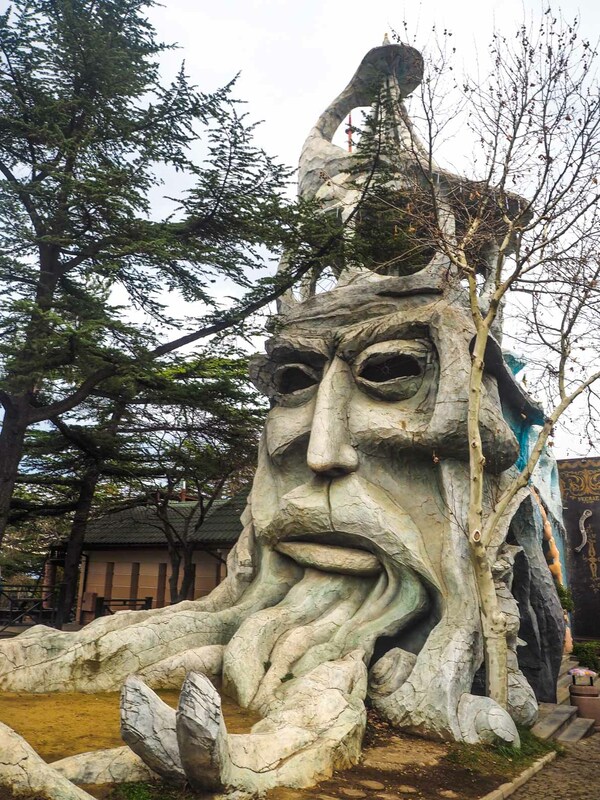 I see that you recommend Gudauri for skiing, but in Georgia there is old skiing place Bakuriani. It was established by Russian imperial family in the beginning of 19th century. 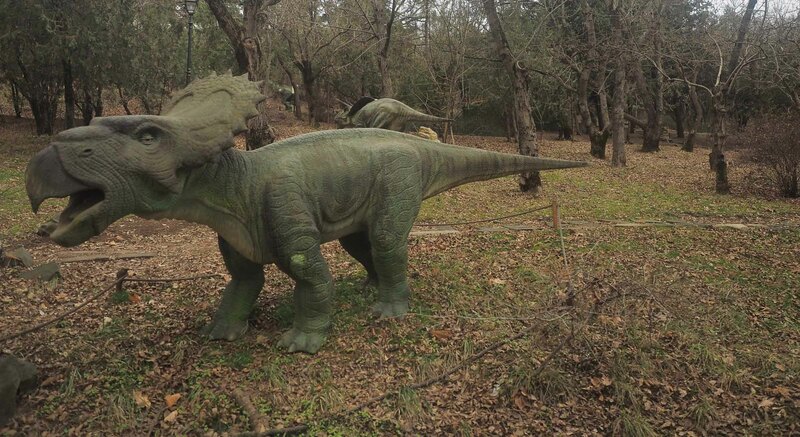 It is located near Borjomi town. Maybe you have heard about soda Borjomi (it is very popular in Ukraine , where Im from :)). From Tbilisi to Borjomi you can get by train or local minibuses from Didube station. To Bakuriani also 30 min travel by bus, but you can get there by old train called Kukushka (check youtube). 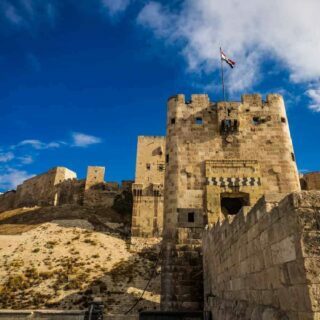 I’m looking for my travel in January 2019, and sharing information from russian travelers. Thank you very much for this fun list, I took some notes from it. 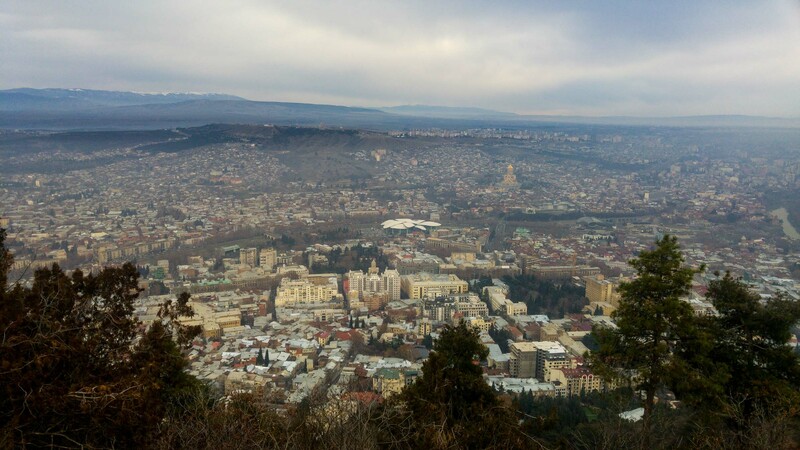 Next week I’m going to do my exchange for university in Tbilisi, and I will stay there for half a year. I haven’t prepared much for my half a year there, as not even my university here in Amsterdam can tell me much about the country. I want the country to surprise me instead of having too many expectations. But this list was very helpful, just to get me through the first 2 weeks that I will be there before my university there begins, thanks a million! If you have any tips about Georgia that I cannot miss out on, let me know! Since you are going there this time of year would I recommend you to go Skiing before the snow disappears, there are a few great ski resorts around the country, Gudauri is only a two-hour drive from Tbilisi so it´s easy to do a daytrip there. But depending abit what you like to do, it´s gone still be pretty cold in most parts of the country, but you should be still able to visit most parts of Georgia even this time of year. Thank you for all the information and great to read the comments as well. We are planning to go this weekend, love to cover everything as mentioned. Any recommendations for Tour operators or Car drivers to take us to Gudauri for a day trip. ? Everything in Tbilisi is easy to cover on foot and metro. Loved your article. I’ll be visiting Georgia (starting with Tbilisi) in May. It’s a group tour so plan to reach a day earlier to enjoy the feel of the place before the tour starts. Do you have any recommendations to visit in Tbilisi (preferably on foot)? The group tour covers Metekhi Church, Georgian Synagogue, Sioni Cathedral, Peace bridge, Narikhala Fortress, National Museum, Mtsatsminda Park and Rustaveli Avenue so would not want to cover these on my extra day. Plan to stay around the Roses Park. Excuse my ignorance, but how far is the Old Town area from here?